While we’re all still beaming after our recent announcement that the Financial Times acquired a majority stake in TNW, it turns out we’ve got more big news to reveal. Today, I’m thrilled to share that we’re opening a second TQ in Amsterdam South — a brand-new home dedicated to helping tech companies grow. With space for startups, scale-ups, and corporates, we can’t wait to apply all the lessons we learned from our first launch in a new environment. So, why did TNW create TQ? In October 2016, we opened the doors to our first TQ — a curated workspace for tech startups in Amsterdam. At the time, it seemed like the next logical step for us as a company. For years, we’d been contributing to the international tech community with our media platform and yearly conferences, but something was missing. We needed a physical space where our growing network of talented people could thrive. Before we knew it, we’d secured a lease in the center of Amsterdam and transformed a former 6,000 m2 bank building into a workspace for startups. Committed to our concept of driving startup growth by providing a strong community, insightful events, and comfortable facilities — TQ was suddenly a reality. A lot has happened since then. We’ve supported over 200 tech companies, from Dutch startups like Homerun and Tripaneer, to American hypergrowth companies like Stripe, Flexport, and Ring (acquired by Amazon for over $1B). We’ve also hosted over 500 events with 25,000 attendees, and over 600 people work from our city location daily. With residents regularly outgrowing our space and our six-storey building at capacity, we’re confident our approach has a place in Amsterdam… plus, we never intended on only having one TQ. Opening our second location is a big step in the right direction. 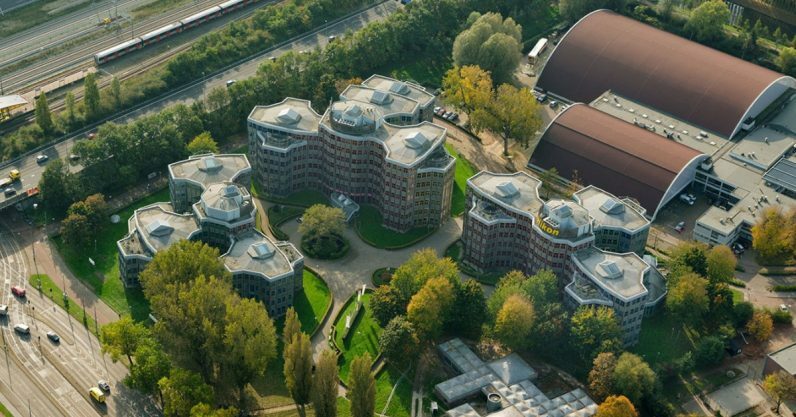 Our new building, or ‘TQ South’ as we like to call it, is located at Tripolis: a set of three bold structures designed by Dutch architect, Aldo van Eyck. We’ll occupy one building, alongside our partner for this project, FLOW Real Estate — step one of a much more ambitious vision for Tripolis, with the second phase commencing in 2022. Inside, you’ll find generous offices for large tech companies like those that outgrow our city location. We’ll also offer a communal workspace for early-stage tech startups looking to test ideas or expand into the international market. TNW X, our corporate innovation arm of the company is also building a space for corporates and startups to join forces. From exhibiting new technologies to hosting innovation challenges, we’re excited to see the meaningful partnerships unfold. With renovations well underway, we’re counting down the months, weeks, and days until the move. I’m incredibly proud of this latest phase of our plan to expand Amsterdam’s tech ecosystem exponentially. And we can’t wait to support even more tech companies in even more locations. Watch this space.